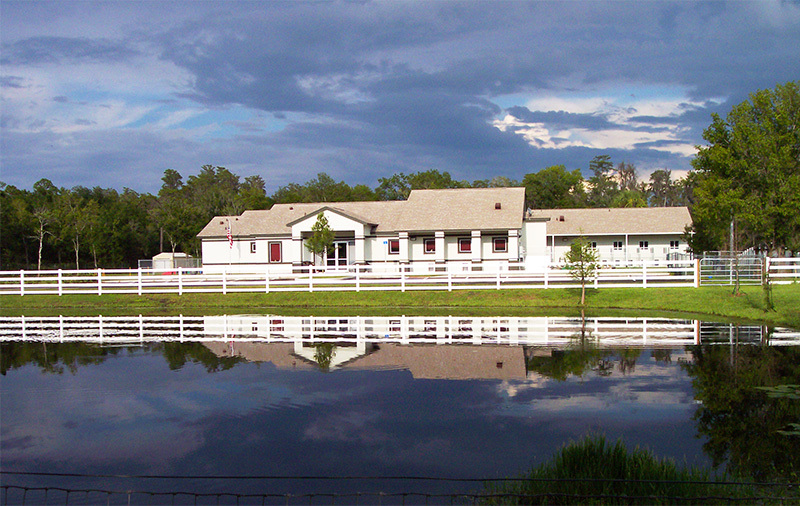 Bass Pet Resort is an award-winning pet care facility located on a 5 acre facility in Kissimmee, FL. We are a licensed and approved BBB business committed to meeting high standards of care for our guests. Bass Pet Resort has been family owned and operated since 2003 by Patti Lehman. Patti Lehman launched Bass Pet Resort to provide the very best of care for our guests. Her goal is to provide all pet resort guests with the love, attention, and passion she has for her own animals. Her passion for animals is something she shares with all members of her staff. The care and love we provide the animals is shown through so many that love to come stay with us. Free Night subject to availability and cannot be combined with any other offers or discounts. Lodging discount applies to first-time customers only and is valid for any lodging accommodation selected. 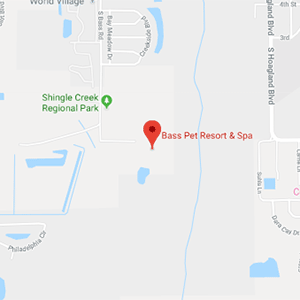 We used Bass Pet Resort while we lived in the Central Florida area, we are now back in the UK, our pet Shih Tzu was always treated like he was the only one there, great staff, great location, great facilities. would recommend Bass Pet Resort to anyone who wants to feel happy that their pet is being looked after. I absolutely love Bass Pet Resort & Spa!!! They always take great care of my Husky and truly love her just as much as I do. My dog comes home from daycare tired and happy every time. I recommend them to everyone I know! Patti Lehman is a lifelong animal lover. She’s done extensive research in dog behavior and studied the art of dog listening in England. Patti has dedicated her life to improving the lives of dogs and people through her business, helping animals in need, and volunteering for rescue organizations. She has owned disabled dogs and taught them how to use a wheelchair. Our mission at Bass Pet Resort & Spa is to accommodate your pet in any and every way to make their visit with us loving, enriching, and caring. Below are a few of the many reasons pet owners choose Bass Pet Resort for their pet care needs. We have caregivers living on the property! *Additionally, Bass Pet Resort has completed the Outstanding Pet Care Learning Center (OPCLC) comprehensive curriculum for pet care facility training with classes and courses dedicated to helping pet care facility owners, managers and staff deliver the highest quality pet care. My cat, Auggie, was well cared for and seemed happy and content there. If you want a clean, safe environment for your pets, I highly recommend, taking them there! Copyright © 2019 Bass Pet Resort. All rights reserved.